I have had some dark days as a military spouse. Military life is not easy. Sometimes the responsibilities, the constant changes, and the long-distance strain can be an emotional burden that seems impossible to carry. 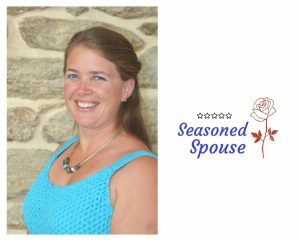 Hey, military spouse– I know you’re feeling frustrated and like you’re at the end of your rope. But I’m here to tell you that you can get through this. Even though you may feel like you are fighting by yourself, YOU ARE NOT ALONE. 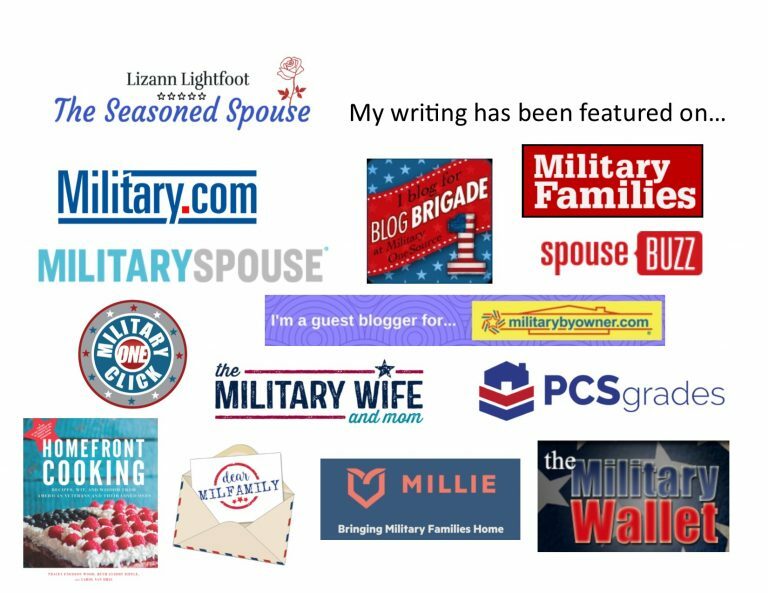 No military spouse is ever truly alone, because there is an entire community of military families all around us, and everyone has their own struggles and challenges. Whatever stress you are dealing with right now, there are people and resources that want to help you work through it. 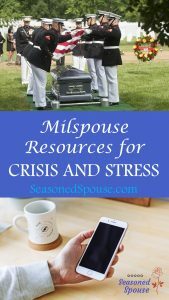 Many of these milspouse resources are available 24/7. Call them. Talk to someone. You will be amazed how much lighter those burdens seem when you are able to share them with someone. There are trained counselors who can be reached at this number every minute of the day. There is ALWAYS someone you can talk to. Even if you aren’t concerned about yourself, you can talk to them if you have concerns for a friend. They can give you advice about how to handle seemingly impossible situations. This helpline was renamed the Veterans Crisis Line in 2011, and now requires counselors to be trained in veteran concerns. If you prefer to text, you can open an online chat or send a text message to 838255. There are people standing by 24/7 to answer your questions and help you out. This is a DoD funded and staffed hotline that is available 24/7 to any active duty or family member, including Reserves and National Guard. All of the coaches are Veterans or spouses of service members, so they are able to discuss military life challenges. All conversations are confidential. You can also text them at 480-360-6188. This helpline offers 24/7 support to service members and their families. 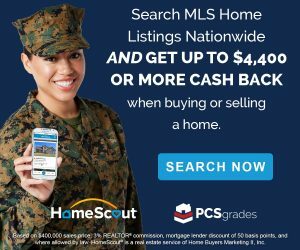 It is available to all active duty branches, including reserves,and National Guard. Contact them to receive confidential support from military peers. You can get free confidential counseling anytime through Military One Source. Request a counselor on their website, or call 800-342-9647. This service is available to military spouses and dependents. You can get up to 12 free sessions per year, per issue. Counseling is a great resource when you are struggling with deployment, children, or marriage issues. The counselors are confidential and do not report to the military chain of command. You can contact the Red Cross to send an emergency message to a service member during a deployment. These can be used to notify a service member of a death in the family, or the birth of their child. You will need some basic information about your service member before placing the call. Learn how to send a Red Cross message here. The program is called Courage Beyond. They offer 24/7 support for service members or their family members affected by PTSD (Post Traumatic Stress Disorder). Their programs are free and confidential. Although service members and their families can experience excessive stress, it is never an excuse for harming or abusing someone. There are numerous resources available to military members or family members who are experiencing domestic violence. You can use the national hotline above, visit the Real Warriors website for more resources, or call Real Warriors at 866-966-1020 to talk to a health resource consultant. If your or anyone else’s children are in danger, you can call the DoD Child Abuse Safety Hotline at 800-336-4592 to make a report. If you are caring for a wounded or disabled veteran, then you are not alone! There are many people and organizations willing to help you and your service member. Call the number above for any kind of advice or support that you need as a caregiver. You can also visit the Caregiver Support Website for additional resources. The Military Family Life Counselor (MFLC) is attached to most military units. This is a professional psychologist or social worker whose job is to help military spouses and family members. 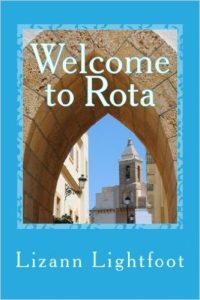 They can meet you on or off base, and the meetings are confidential. What you discuss will not get reported to the military chain of command. Although the MFLC cannot diagnose issues or prescribe drugs, they can guide you through the steps of getting counseling or medical service from Tricare. They can also help advocate for your child if they need referrals or paperwork from their school. Most military units have a family readiness person who can be reached any time via cell phone. The Army and Air Force call them FRG, the Navy says Ombudsman, and the Marine Corps says FRO. This is an important resource to look up when moving to a new base or transferring to a new unit. They have access to all the resources available in your area, and can direct you to job opportunities, emergency relief funds, or legal assistance. Your service member should be able to connect you to the family representative for their unit. A military chaplain is not just a religious leader. They are also counselors. Every military base has chaplains who are trained to handle a variety of issues, ranging from financial struggles, to relationship disputes, to PTSD, to the death of a family member. Chaplains typically have a 24-hour phone number that will be answered any time, specifically for emergencies. Get the phone number for your base chaplain so you can reach them when you need to. This program stands for Families OverComing Under Stress (FOCUS). It is a class designed for military families to help adults and children learn to discuss stress and manage it using communication techniques. Each family is given private sessions over the course of several weeks or months. 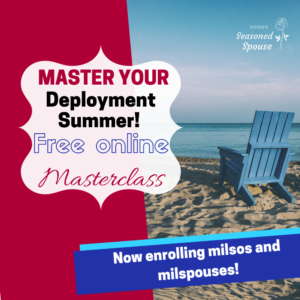 There are many more milspouse resources available to military families. For a complete list of websites and programs to use in crisis situations, visit Operation We Are Here’s comprehensive list. Hopefully, chaplains have been given a retraining. When I was at Fort Campbell they just passed the buck and were not a resource to Military Spouses at all. I’m sorry to hear that. They are not professional counselors, so part of their responsibility is to give you additional resources and options. But depending on the situation, they should also be able to listen and provide some assistance.